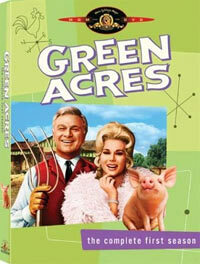 Throughout the years, there have been several video collections of Green Acres released by both reputable, and not so reputable sources. Unfortunately, many of these releases were only one or two videos, and to date, no one has yet to release the complete series. Below are some of the more notable collections, and which episodes they contained. 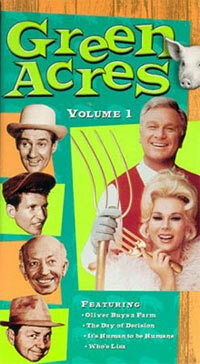 This is one of the earliest collections, it was released in VHS format. It may or may not have been legal, however it was nationally marketed. This VHS set was a nicely packaged set, however it was VERY short lived. 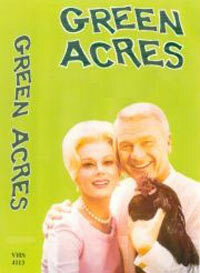 In 1998, Columbia House put out the a very good collection of Green Acres episodes on VHS tape. Unfortunately, they discontinued the set prior to completing the series. The quality of the tapes were superb and they were uncut, without any commercial breaks. There was one MAJOR bad point though...the episodes were in no particular order. Without a doubt, the best release to date is the DVD collection put out by MGM. 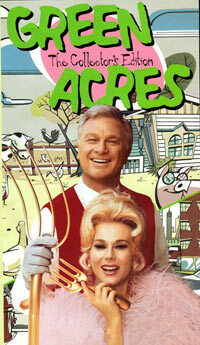 The quality is extremely good, each volume is a complete season of episodes. Two problems...no extra features (not even foreign language subtitles), and as of date, MGM has only released three volumes/seasons. They seem	to have dropped the ball on releasing seasons 4, 5, or 6.